Using a soft bristle toothbrush with toothpaste, move the toothbrush in small circles, angling the toothbrush along the gum line. This technique will reach the nooks and crannies of your teeth and braces, removing debris. Do not forget to brush your chewing surfaces, the inside of your teeth, and your tongue. Since healthy gums should not bleed when brushing with a soft bristle toothbrush, bleeding indicates areas that are inflamed and should be brushed more thoroughly and more often. Finally, remember to massage the gums while you are brushing as well. Patients with braces should keep in mind that they have many more areas to clean and should plan on spending a longer time brushing their teeth. These patients may consider using a proxy brush (the mini toothbrush that looks like a miniature tree) to reach under the wire and in between brackets. Flossing is a very important aspect of oral hygiene, but braces can cause flossing to be time consuming. Patients with braces should set aside 10-15 minutes each evening for flossing. With practice, the time it takes to floss with braces will be reduced. We recommend using a floss threader to make it easier to clean under the wire of your braces. Many patients find it easier to start from their gums and angle towards the tip of the teeth. Once the floss is threaded under the wire, wrap the floss around your fingers and floss in between your teeth as normal. Make sure to guide the floss along the entire length of your teeth as well as in between your teeth and your gums. For patients who thoroughly brush and floss, additional hygiene materials may not be needed. However, accessories such as the proxy brush or toothpicks may still be useful to ensure your teeth remain as healthy as possible. 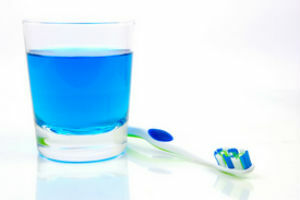 Patients may want to consider an antibacterial mouth rinse or fluoride mouth rinse. A Waterpik® can also assist in removing food debris and massaging the gums. As you become accustomed to your new braces, your teeth will likely be tender and you may experience a dull ache for the first 2-4 days. We recommend patients eat soft foods during this initial adjustment period and use an over the counter pain reliever if necessary. Some patients also find a warm saltwater rinse helpful. 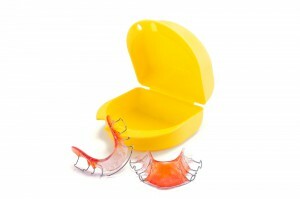 Accessory appliances such as rubber bands, springs, or headgear can occasionally cause teeth to become sore. When wearing these appliances as prescribed, the sensitivity typically goes away in 2-4 days. During the initial adjustment period, new braces patients may get small sores on their lips or cheeks. Within a few weeks, the lips and cheeks will become less sensitive. If at any time during treatment you notice a particular area of your braces that is aggravating the inside of your mouth, place a small piece of wax on the part of your braces that is causing the irritation. A topical anesthetic such as Orabase® or Orajel® can be used for immediate relief. Brackets and bands typically break when patients eat certain prohibited foods or pick at their braces. If a band or bracket comes loose and is uncomfortable, place a piece of wax on the spot causing irritation. In general, a broken bracket is not an emergency and can be fixed at your next scheduled appointment. If the broken bracket causes significant discomfort, if the broken bracket is supposed to hold a rubber band in place, or if a bracket breaks on one of the upper or lower 4 front teeth, please call the office and we will schedule an appointment as soon as possible. Wires can come loose from sticky foods or when a patient picks at the braces. If you notice a wire is protruding and causing irritation, try using a Q-tip or clean pencil eraser to push the wire in towards the teeth to relieve the discomfort. Placing wax over the spot causing irritation may also allow the cheek to heal and toughen up. If issues persist, please contact our office and we will help you remedy the situation. To help avoid accidental damage, patients should also avoid biting their fingernails and pens or pencils. If you notice a loose or missing elastic tie that goes around a bracket, do not worry. These elastic ties can be fixed or replaced during your next appointment. If you experience a bump or trauma to the mouth during orthodontic treatment and your teeth were hit and hurt, please call the office right away. A short examination will ensure that no damage has been done. Patients should brush their retainers daily as part of their oral hygiene routine. When cleaning the appliance, use cold water, antibacterial hand soap, and a toothbrush – and be sure to thoroughly rinse out the toothbrush afterward. Patients should avoid using hot water, a dishwasher, or toothpaste to clean their appliances as these can cause distortion. Occasionally an effervescent denture cleaner can be used if absolutely needed. (If possible, use a clear tablet cleaner as some of the blue tablet cleaners can stain clear retainers. Patients should always keep their retainers or removable appliances away from heat sources and never store them in the car. Bands – a thin ring, typically made of stainless steel, which is fitted to the tooth and cemented. The band is used to secure other orthodontic attachments, such as hooks, brackets, or tubes. Brackets – A bracket can either be bonded to the tooth using a tooth-colored cement, or it can be attached to a band. These are usually made of either stainless steel or clear ceramic, and can guide and support the archwire into the appropriate placement. Archwire – Held by brackets or other orthodontic attachments, the archwire is designed to cause and/or guide the shifting of the teeth during treatment. These wires are traditionally made from stainless steel, but can also be made of titanium. Elastics (rubber bands) – These rubber bands are used to create a force to move the teeth in a particular direction. These are often attached to a molar band and upper ball hook. Springs – Using the force of a small spring, a space can be opened or closed between teeth. These springs go between brackets and around the archwire, and can be made of stainless steel or titanium. During your Belmar Orthodontics treatment, it is particularly important to maintain good oral health through attention to proper oral hygiene. Brackets and wires in your mouth make it easier for food particles to get stuck leading to other dental issues if proper care is not taken. Included below are a few important things to remember. As always, if you have any questions about maintenance for your braces, or if you are finding it difficult to perform your oral hygiene routine like you should, please do not hesitate to contact our office. We are here to help you reach your goals and to keep your mouth healthy. Use a proxabrush. After brushing with a toothbrush, use a proxabrush, commonly referred to as a “Christmas tree brush,” to clean between each bracket. Place the proxabrush between two brackets, below the archwire, brushing up and down. After several strokes, repeat this motion by inserting the brush from the opposite side (either down from the top or up from the bottom). In order to avoid damage to your braces and your teeth during orthodontic treatment, hard foods, sticky foods, and foods high in sugar should be avoided. Eating foods high in sugar also increases the risk of cavities, especially while wearing braces. For these or any other problems, please contact our office today for advice on how to handle the matter, or, if needed, schedule an emergency visit with Dr. Hardy.